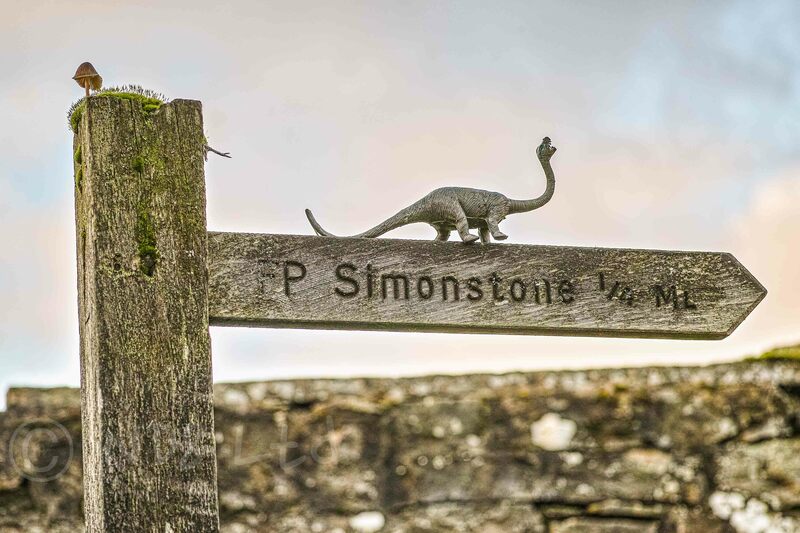 Just quarter of a mile from 21st century civilisation … we disturb a pocket of Jurassic untouched for 150 million years … Did Spielberg once holiday in the Yorkshire Dales? Staring at vast landscapes I sometime lose sight of the detail. 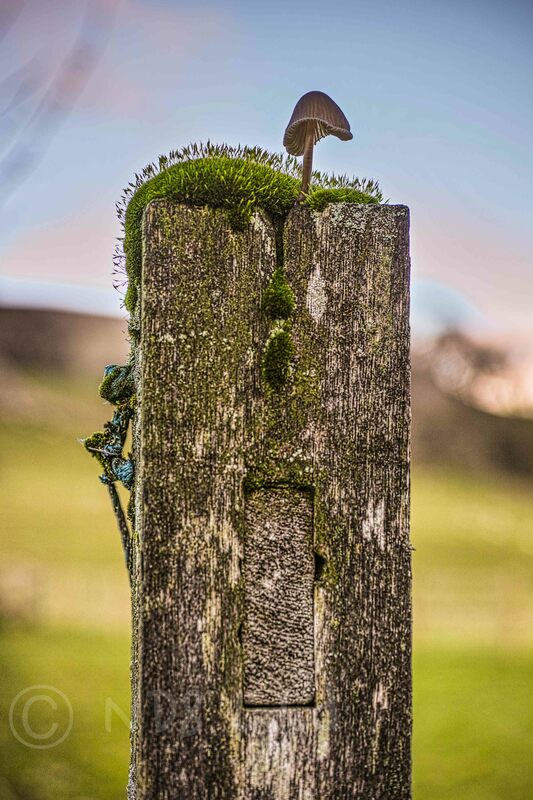 Polly spotted the lone mushroom precariously growing atop the signpost as we headed back to Simonstone Hall. A toy dinosaur just happened to be lying about near by. The perfect prop! Sigma DP3 Merrill. First shot using a tripod. Second hand held (to get close in) with a shallow depth of field.